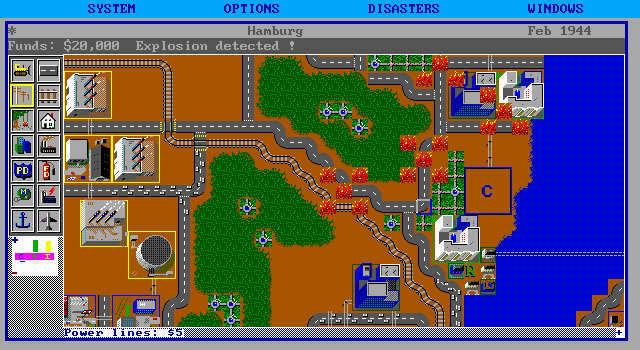 SimCity (or SimCity Classic) is a popular city building simulation in which you, the mayor of a city, have to build a metropolis from the ground up. 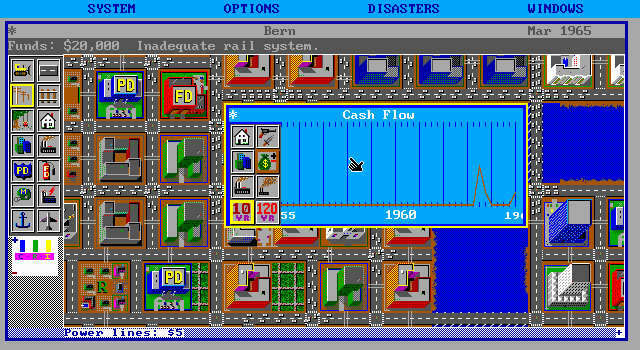 You can build police and fire departments, assign industrial, residential or commercial areas, manage power distribution, build ports and airports. 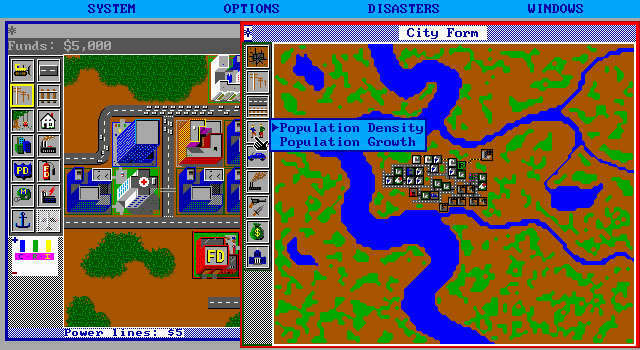 Grow your city from village to metropolis and try to keep your citizens happy. 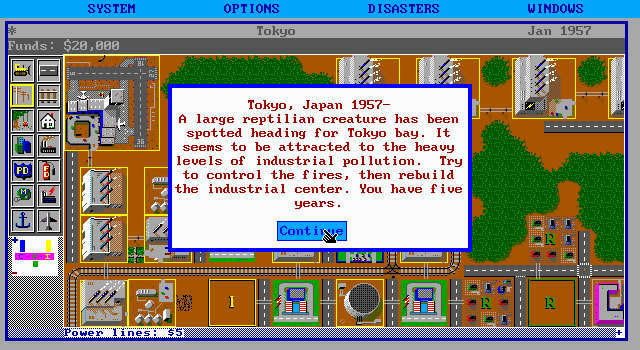 Tell others what you think about SimCity: did you play it? Did you like it or hate it? 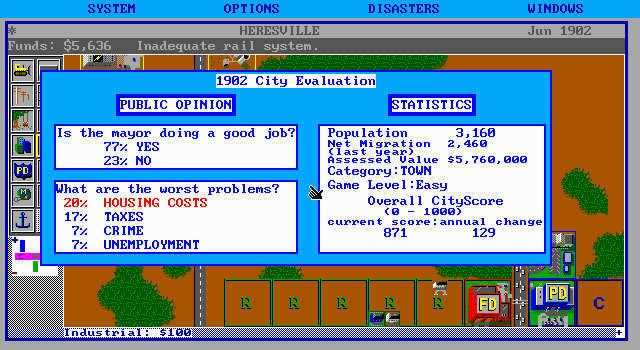 If you have problems running SimCity, please read the F.A.Q. first. Your e-mail will NEVER be used for spam. 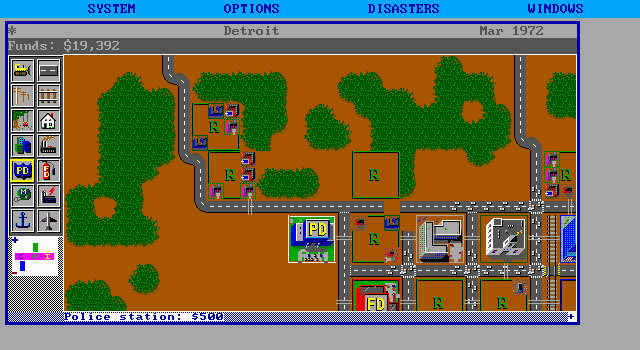 A terrain editor and architecture disks were available with tileset graphics for settings of Ancient Asia, Medieval, Wild West, Future Europe, Future USA and a Moon Colony. 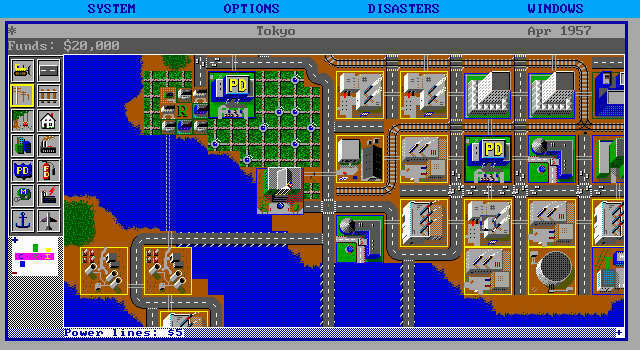 The July 2005 issue of Nintendo Power stated that a development cartridge of SimCity for the NES was found at Nintendo headquarters. Never released, it is reportedly the only one in existence. 1990 - Best Simulation Program, CODiE Awards. 1990 - Best Entertainment Program, CODiE Awards. 1990 - Best Curricular Program, CODiE Awards. 1990 - Best Consumer Program, CODiE Awards. 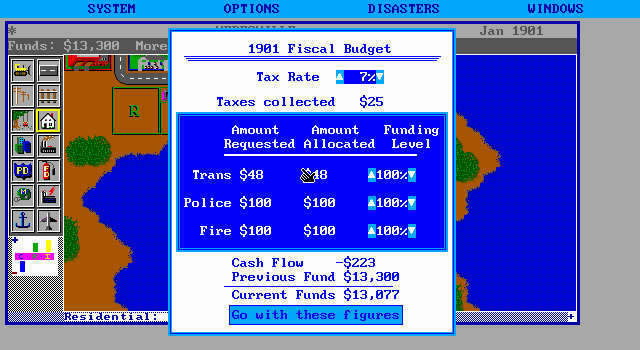 1989 - , Gamespot Greatest PC Games of all Time.